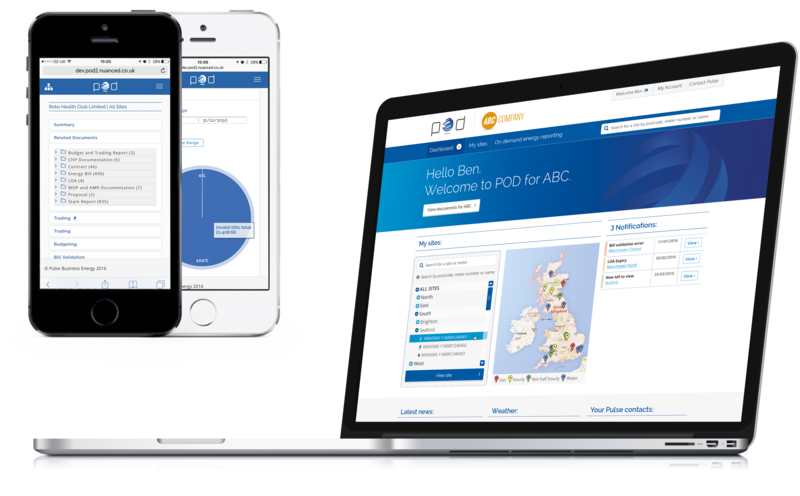 POD is a digital cloud based system that keeps all your documents across multiple sites in one location, showing your trading energy history, budget status, energy reports, and even validates your bills automatically. 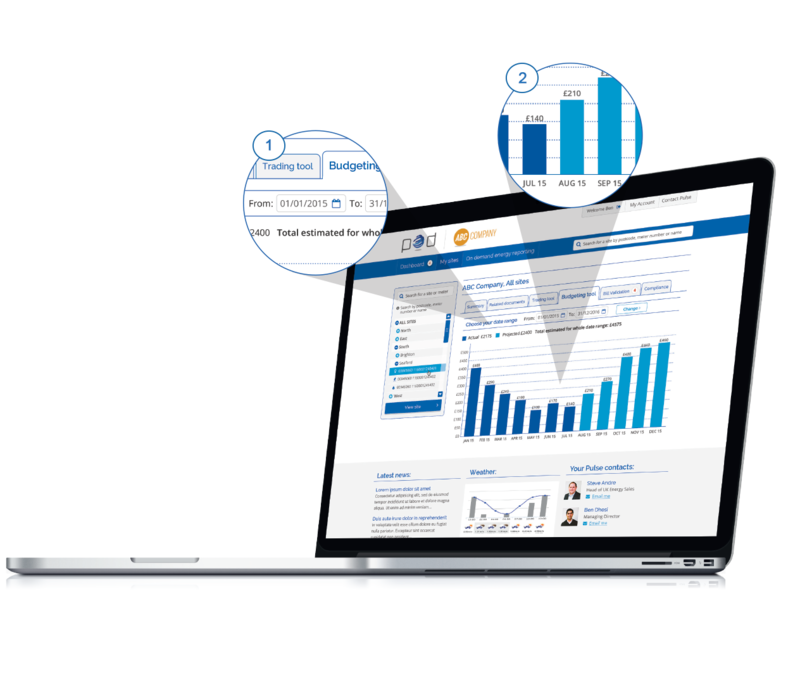 Its the perfect cross departmental collaboration system for business energy. In ‘My sites’ you have access to a range of powerful tools that present data that is site specific or related to all sites depending on what option you choose from the site menu on the left hand side. 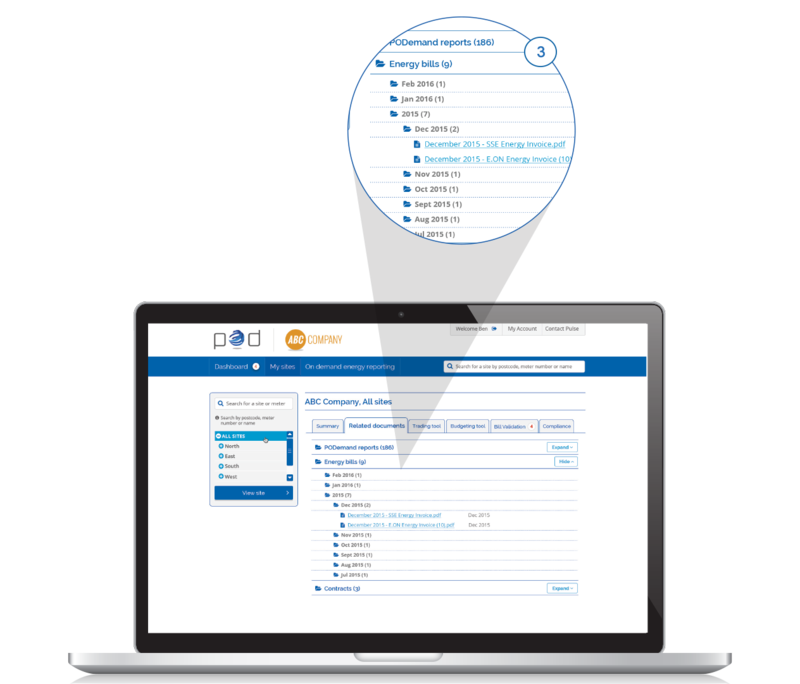 Depending on what site you are on, you can click on the related documents tab, this will bring up all energy bills which are uploaded when released from the supplier and stored in chronological order, saving customer paperwork and filing time as all is now stored on POD. Signed contracts all located on POD. Choose a date range across the top depending on your financial year(s). (1) Once this is adjusted, you will be provided with a budget. 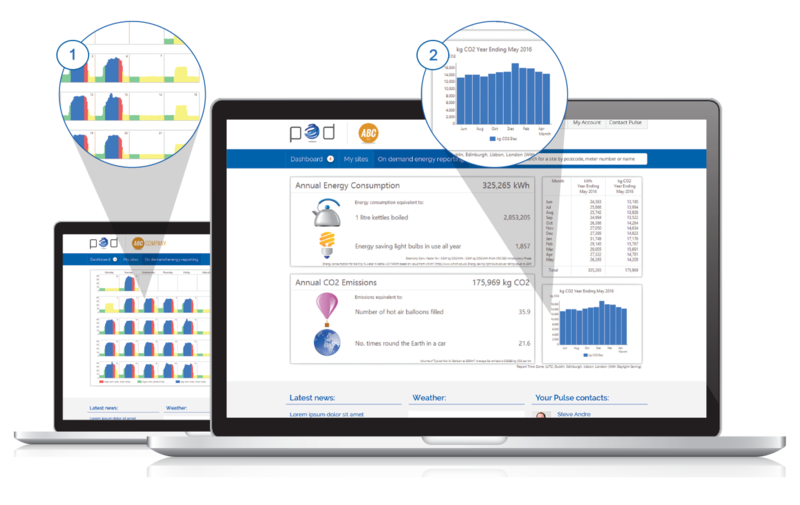 Using Half-Hourly data, POD generates real time budgets. Each month the budget will be updated as a month passes, an actual figure will be inserted and the bar will go dark blue. This can be done on a site by site basis or alternatively you can select all or several to show the budget for whole portfolio or partial portfolio depending on how many meters are selected. This means budgets are kept up to date month to month and not once at end of year. The notification number next to the “bill validation” tab represents how many validation errors there are for this site. This shows how much energy has been bought at any given time and what is left to buy. This shows the date and volumes bought by us. 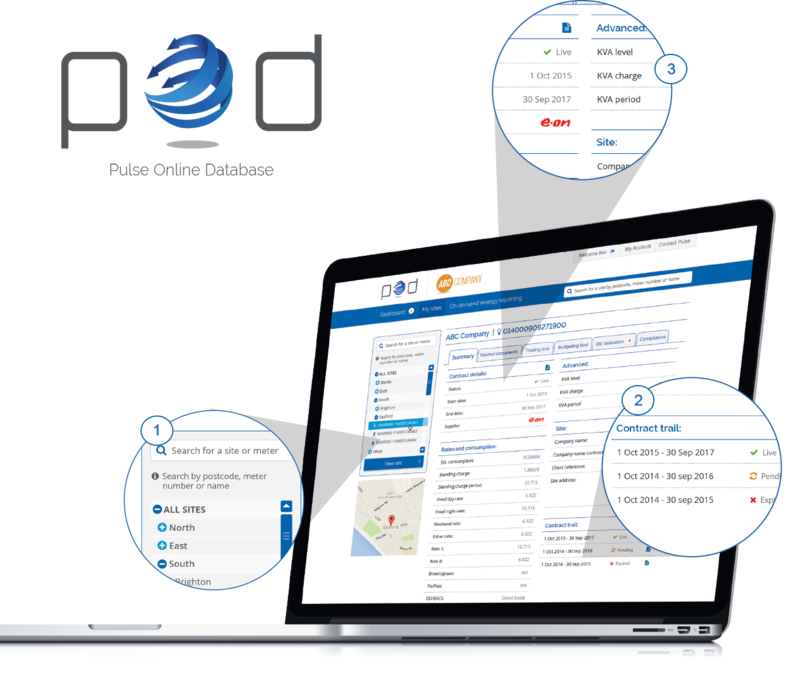 POD gives you access to PODemand a powerful energy reporting system. 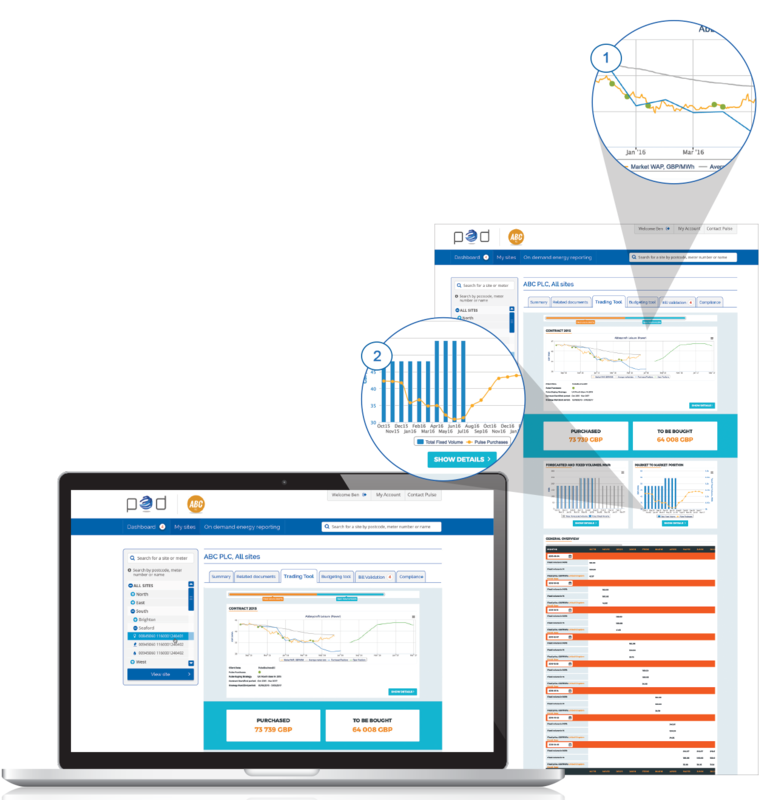 Change how your organisation uses energy with our engaging multi-platform reporting tools. 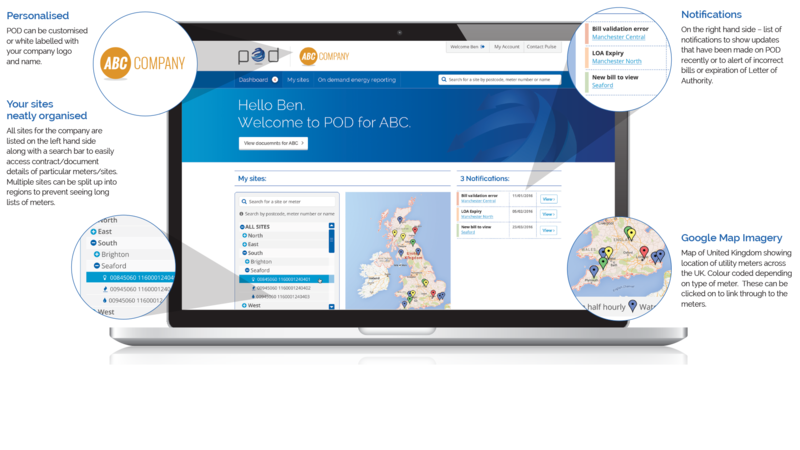 View and analyse all your half hourly meter data through our PODemand reports. There are hundreds of reports to review and each one is accessible on demand in POD. Are you an energy supplier, energy broker or consultant? Big or small, we’ve got a solution when you need it. 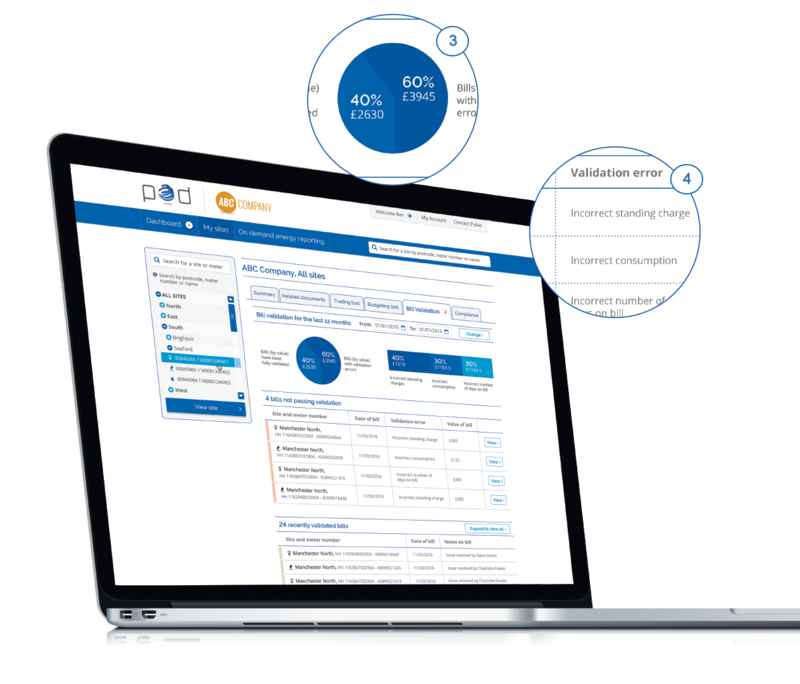 Our advanced service and support tools provide step-by-step instructions without being put on hold or waiting in line. 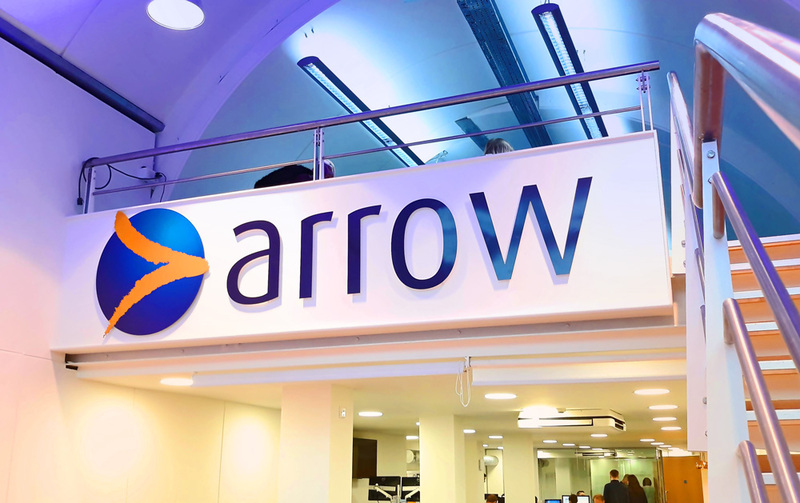 Pulse Business Energy is a company part of the Arrow Business Communications Group.